I’m too exhausted, full, and contented to really put my mind to blogging right now, but I have to keep this project going. So I will write about something that should come easy. I’m going to talk about all the ways that Iceland just seems totally wonderful so far. Yes, the weather here is challenging. Yesterday alone we experienced three kinds of precipitation: ice rain, hail, and snow flurries. Out-of-towners see this and get out their umbrellas, but then they look pissed because their umbrellas are turning out to be an even greater challenge than the weather in the first place (Iceland also happens to be windy). The Icelanders know not to solve a problem with a new problem. They just walk around freely in whatever the sky is serving up that day, warmly hidden inside parkas and wool mittens. Maybe they stopped noticing long ago; the cold and the wet, it’s just a different type of air. They say everyone here is a musician, because it’s dark half the year and, presumably, there’s nothing else to do. But I think what’s more accurate is that the long, sun-less winters have made the people of Iceland (and the other Nordic countries) very sensitive to their interiors—in both the physical living space sense, as well as the human heart sense. Right now Reykjavik is celebrating its Design March festival, and I got a taste for some of the local design sensibility. It seems that Icelandic furniture, clothing, and decorative arts all feel very joyful, and earnest. In New York, the design scene feels like it is constantly chasing after awards or recognition or some kind of heroic problem-solving status. In Iceland, it is more important to spend time reflecting on one’s self, one’s surroundings, and expressing one’s love for an idea. In the process, they are brightening up the long winters a tiny little bit. This feels to me like essential design, design born out of necessity. Not design as a means to making a name for yourself, but design as a way of surviving. 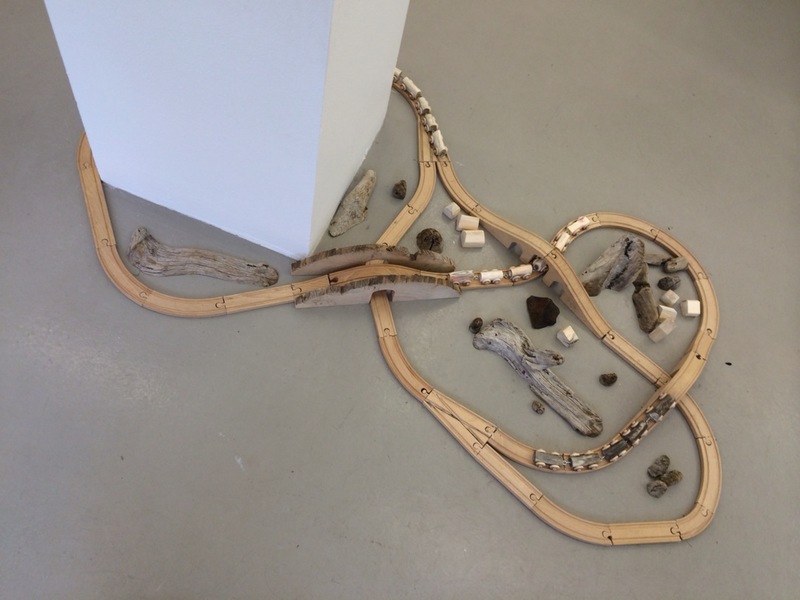 A model train set made out of driftwood and bone, all local materials found in remote East Iceland. Part of the Austerland (Design from Nowhere) exhibit currently at SPARK Design Space. There isn’t a whole lot to do here, and that’s actually nice. They say traveling is a good time to think, and in Iceland, you get lots of space to think in. There is just enough stimuli, enough newness, to lead your thoughts in a productive direction, but then it’s up to you to keep going with it. Back home in New York my thoughts tend in a thousand directions at once, and I have to build up mental barriers to new stimuli so I can stay with a single thought long enough to see it bear fruit. I’m not naturally very good at this, and the barrier-maintenance can get exhausting. So this is a good place to recharge, and re-learn the art of stillness. 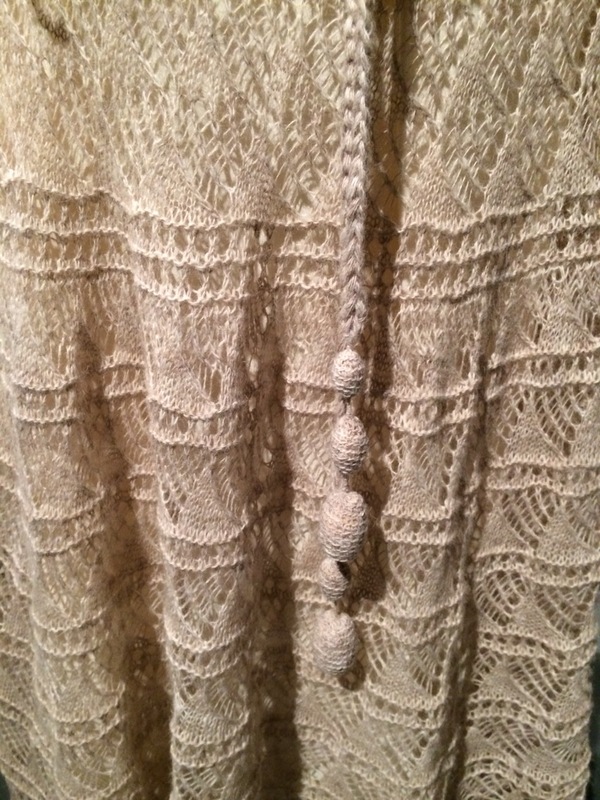 While everyone else in the world is knitting weird hats in primary colors and selling them on Etsy, Icelanders are producing gossamer, drapey shawls, dresses, and coats from local wool in gentle neutral colors. Not that there’s anything fundamentally wrong with weird hats in primary colors (I may own one or two), but Iceland’s fashion designers and grandmas have collectively taken something that everyone else thinks is a quaint DIY pastime and turned it into something contemporary and classy and New Yorkable. Well done, grandmas, well done. 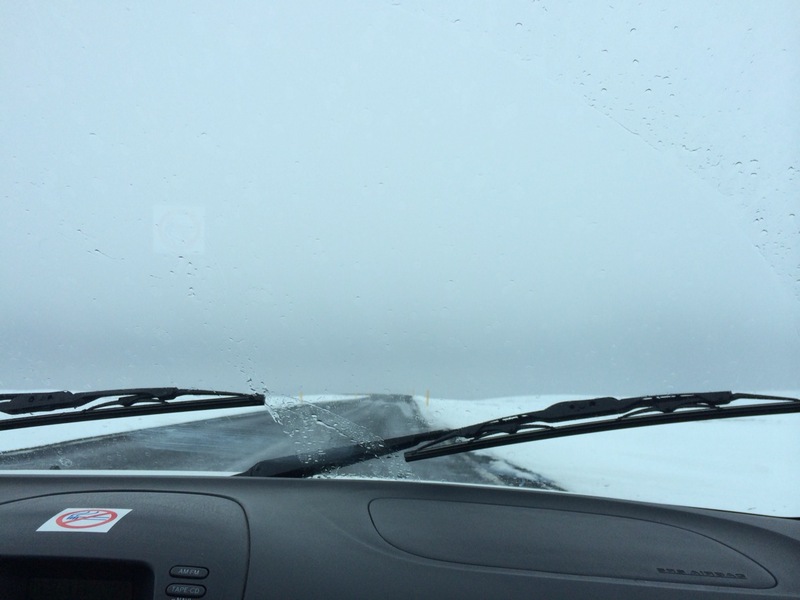 Finally, Icelanders are tired of what the rest of the world thinks is proper winter behavior. Two of the most popular things for locals to do here year-round are go swimming and eat ice cream. It’s usually too cold to swim outside, so they swim in heated pools… which are still outside. And they’ve decided long ago that it’s never too cold for ice cream.